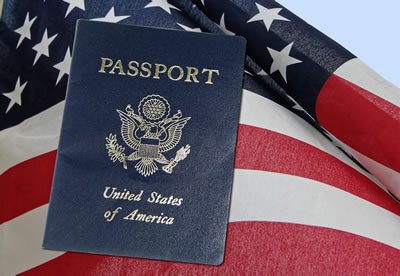 Naturalization is the process in which a person that is born outside of the United States obtains U.S. Citizenship. The process is tedious, yet very rewarding. To be eligible, there are a few conditions you must meet before filing. You are able to demonstrate a basic knowledge of U.S. history and government (some exceptions apply). What is the difference between physical presence and continuous residence? Continuous residence is where permanent residents maintain their residency in the U.S. (5 years, 3 years for Spouse of U.S. citizenship applicants). Travel in and out of the U.S. is permitted. However, if you have been outside of the U.S. for a continuous period of more than 6 months, you have broken your continuous residence and should contact an attorney before applying for naturalization. Physical presence is the accumulation of total time spent in the U.S. for the required statutory period. This is the number of days you have actually been present in the U.S. As noted above, travel outside the U.S. is permitted. However, that time spent out of the U.S. does not count toward the statutory time as it does with continuous period. You can accrue continuous residence while out of the U.S., but it will not be counted towards physical presence. Meet all other general requirements (Age, Good Moral Character, read/write/speak English, and Pass the Civics Test). What if I was married to a U.S. citizen, but I left because of abuse, do I apply at 3 years or 5? In many cases, it may still be possible to naturalize within 3 years if the abuse was committed by a U.S. citizen spouse. These cases can be complicated and it is best to contact an attorney for additional guidance. Naturalization: For Spouses of U.S. Citizens Employed Abroad, EXEMPTION of physical and continuous residence requirements. No specific time of residence or physical presence in the U.S. is required to satisfy this exemption. This is a very nuanced exemption, but extremely beneficial for individuals who would otherwise never meet the requirements. Mubarak Law has handled these types of cases successfully for clients from all over the world. If you are abroad and would like to know if you qualify for naturalization to become a U.S. citizen, please contact our office. Many clients need assistance with an Arabic or Spanish speaking immigration attorney to help navigate their naturalization case through the complex U.S. immigration laws. Orlando Naturalization Attorney Mubarak speaks English, Arabic, and Spanish. He has successfully assisted clients in Orlando, Central Florida and throughout the country with their Naturalization applications. Experience counts! Check some of our previous results and our client reviews. Please call us today at (407) 502-3000 or fill out our online form located on this page and we will get back to you shortly. We have a 24-hour emergency service and offer a free initial phone consultation. Your privacy is very important to us and we will keep your information confidential. My first application for citizenship was denied due to lack of good moral character. When is the right time to reapply?